My koi and oranda pond. 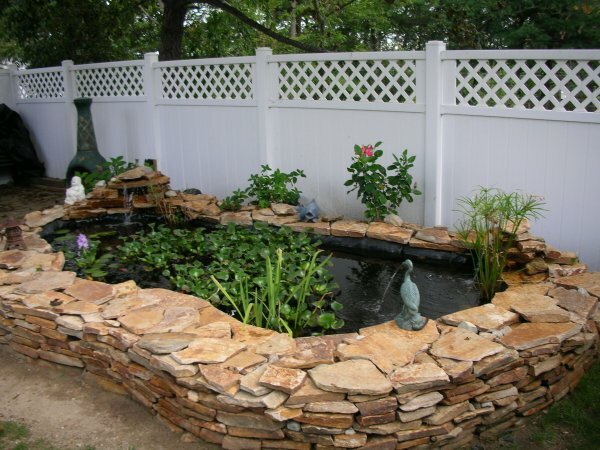 This pond contains goldfish, koi, and amphibians. This is my second attempt at a pond. My first was two connecting 175 gallon ponds but they were only 18 inches deep, and I wanted to build a 3 feet deep one to allow the fish to stay in all year long. It is the most enjoyable experience. Copyright © Walt DuPont 2006.